Teton Backcountry Rentals partners with other top-tier adventure organizations in Jackson Hole. Visit our partners for other innovative services to make your Jackson Hole adventure more memorable. GaperGuide is the best way to see Yellowstone and Grand Teton National Park on your own. GaperGuide is like having a private tour guide, but on your own schedule. As you drive, GaperGuide gives you the information you need to get the most out of Grand Teton and Yellowstone parks. GaperGuide will tell you about the wildlife, history and geology of Grand Teton and Yellowstone and it will alert you to upcoming points of interest such as animal habitats and geophysical wonders. GaperGuide lets you see Yellowstone and Grand Teton at your own pace, and can choose if you want to take advantage of the many Grand Teton and Yellowstone visitor centers, hikes, or picnic areas. Looking for guidance in the mountains? Want to climb the Grand Teton? Jackson Hole Mountain Guides offers professional guiding year-round in the Tetons. Interested in renting a splitboard, but want to take the right steps and learn about avalanche terrain with a guide? JHMG has the splitboard guide for you! The American Packrafting Association is an international association of paddlers dedicated to the conservation of wild rivers and wild places, promotion of packrafter safety and education, and preservation of packrafting opportunities on wild rivers and in wild places. TBR is partnering with the APA to offer guided packrafting clinics on the Snake and Hoback Rivers starting in June of 2018. Jackson Hole Outdoor Leadership Institute’s (JHOLI) provides high quality, professional classroom and field training through applied educational programs related to Avalanche Awareness Education and Wilderness Medicine. Our programs significantly reduce accidents, save time and money, and equip backcountry users with the necessary skills to become outdoor leaders and professionals in the Tetons and mountain ranges across the world. Family-owned with three generations of Yellowstone Hospitality, Yellowstone Vacations is your one-stop shop for vacation planning when you’re traveling to Yellowstone National Park. They offer the highest quality West Yellowstone lodging, bus tours in Yellowstone, car rentals, and RV park. In the winter, they are the top choice for snowcoach tours and all of your snowmobile needs. 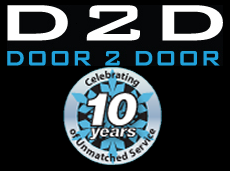 Door2Door ski rental delivery service is the perfect solution for Jackson Hole ski rental or snowboard rental delivery needs. Jackson Hole terrain can be demanding and variable and it is important that your gear is there for you to meet the challenge. In the comfort of your lodge, private residence or hotel room, D2D skis will custom fit your rental equipment to best suit you. Not packrafting in Jackson Hole? Going on a trip? Get your packrafts shipped to you and ship them back at the end of your adventure! Join the angling professionals at The Wandering Angler for some of the best and most diverse fly fishing in the lower 48 states. Jackson Hole offers native Cutthroat and Rainbow trout swarming through the curves of the legendary Snake River in the shadows of the breathtaking Grand Teton Mountain. With trips to accommodate all skill levels from beginner fishers and children to the most advanced angling enthusiasts you are sure to find a trip that is perfect for you or your group. 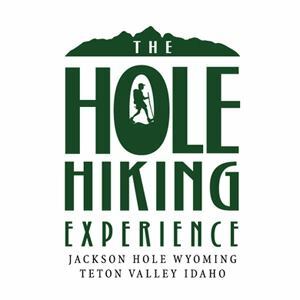 Hole Hiking Experience specializes in customized trips with expert naturalist hiking guides. We’ll take you off the beaten path to explore the more peaceful corners of the valley and beyond. Our knowledgeable staff will educate you on the flora, fauna, geology and history of the Greater Yellowstone Ecosystem. SnowPak teams up with mountain experts from across the globe to create unique guides for the world’s best ski resorts. Packed full of insider knowledge that puts you in a local’s ski boots, it’s more than just the how to get there, where to stay, and what’s the après-ski like.